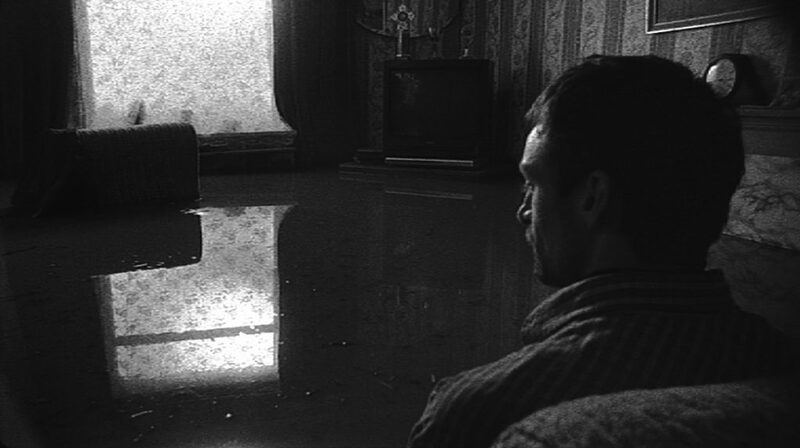 In this film a man sits in a chair as water begins to seep in over the floor. He is aware of the water rising, but also indifferent to its effect, even as the stuff of his daily life begins to float and collide. 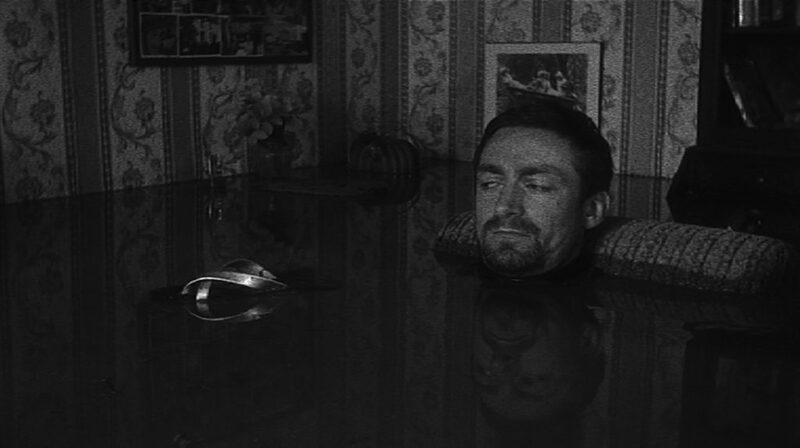 The film’s subject is disaster, which we understand but choose to ignore. Environmental disaster? The disaster of life itself and its inevitable end? There are neither clues nor redemption on offer. The tone of the film is dark and redolent with melancholia but retains a slapstick comedy of the absurd.